American singer Taylor Swift won the award for “Favorite Country Author”. She appeared in a plunging white Ralph Lauren Collection gown, bright Sutra earrings, a Le Vian ring, Christian Louboutin heels. 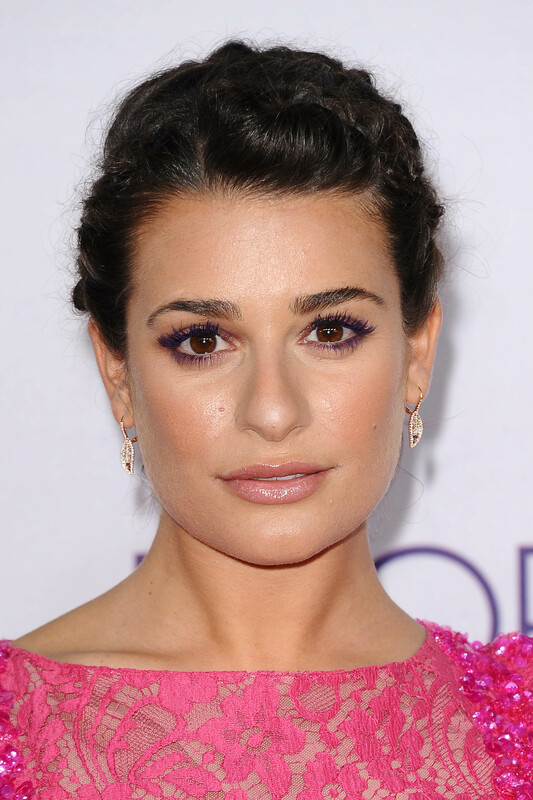 American actress Lea Michele wore pink ultra-short and ultra-revealing Elie Saab dress with Anita Ko jewels and pink strappy sandals which revealed her tattoos. 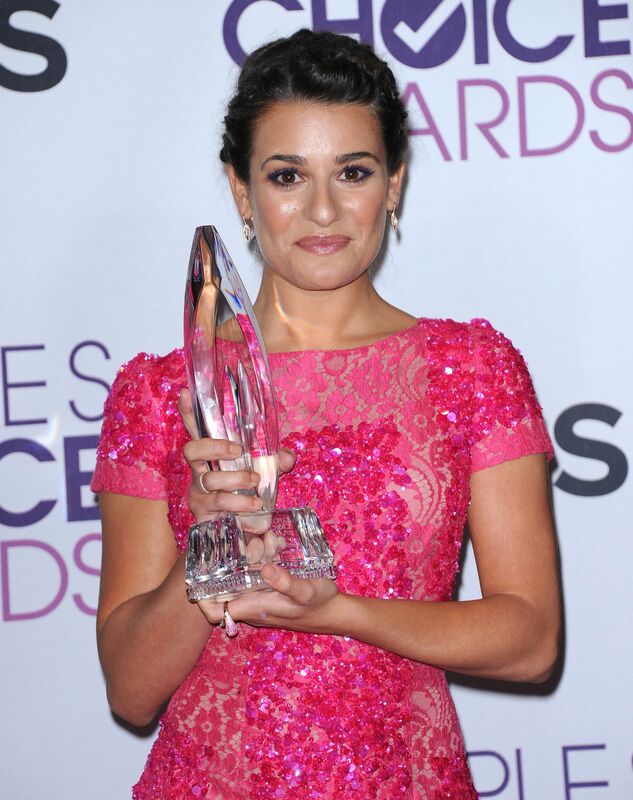 lea received the award for “Favorite Comedic TV Actress”. Actress Naomi Watts looked totally glam in stunning Alexander McQueen halter gown embellished with gold paillettes, combined with black clutch and dangling Jennifer Meyer earrings. The “Homeland” star, actress Morena Baccarin combined Donna Karan Atelier jumpsuit with Daniel Swarovski clutch and Rene Caovilla heels. Heidi Klum looked glam in black gown, Lorraine Schwartz gems and strappy Christian Louboutin pumps. American actress Jennifer Aniston won the award for “Favorite Comedic Movie Actress”. She wore Christian Dior black leather dress and delicate ankle-strap sandals. 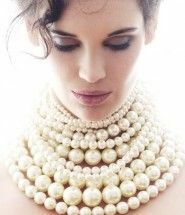 British actress Emma Watson won the award for “Favorite Dramatic Movie Actress”. She hit the red carpet in a graphic print Peter Pilotto dress combined with black sandals and a half-swept hairstyle. Actress Sandra Bullock received the award for The Favorite Humanitarian”, for her work and dedication to New Orleans’s Warren Easton Charter High School. Sandra walked the red carpet in strapless lace dress by Vera Wang and oversize Narciso Rodriguez clutch. Actress Jennifer Lawrence appeared in Valentino Couture dress and won the award for “Favorite Movie Actress”. Heidi Klum looks absolutely fantastic.